Thank you for visiting the John Heggarty Golf website. 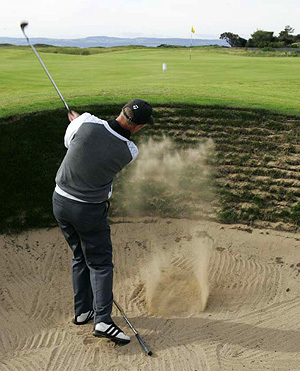 The Royal Liverpool Golf Club is steeped in the history of the game of golf. It prides itself on providing members and visitors an impeccably maintained golf course and clubhouse which has some of the finest golfing artefacts outside St Andrews. Likewise the Royal Liverpool Golf Shop at Hoylake put great importance providing you our customers with quality merchandise and professional service. With over 25 years as Head Professional I can promise you that every aspect of golf can be catered for either by myself or by the highly skilled team at the Royal Liverpool Golf Club. "Hoylake belongs primarily to the Members of The Royal Liverpool Golf Club but it also belongs to the whole world of golf"